This newsletter is appropriate for a telecommunication company offering telephone, internet, or other digital services. The interior has space to describe the specific services offered for homes and businesses. 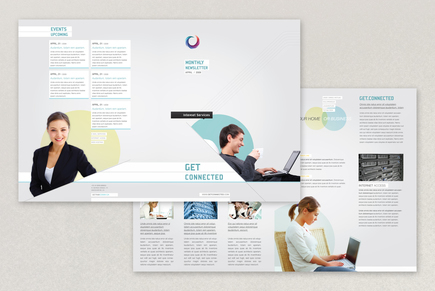 The line and circle elements throughout the newsletter reflect the idea of digitally connecting people all over the world.